Review: M. Ward, 'More Rain' On his eighth solo album, the singer and multi-instrumentalist crafts a warm, thoughtful mood piece, buoyed by guest stars but desolate where necessary. Naming an album More Rain and then kicking it off with the sound of an actual rainstorm is either gutsy or foolhardy. 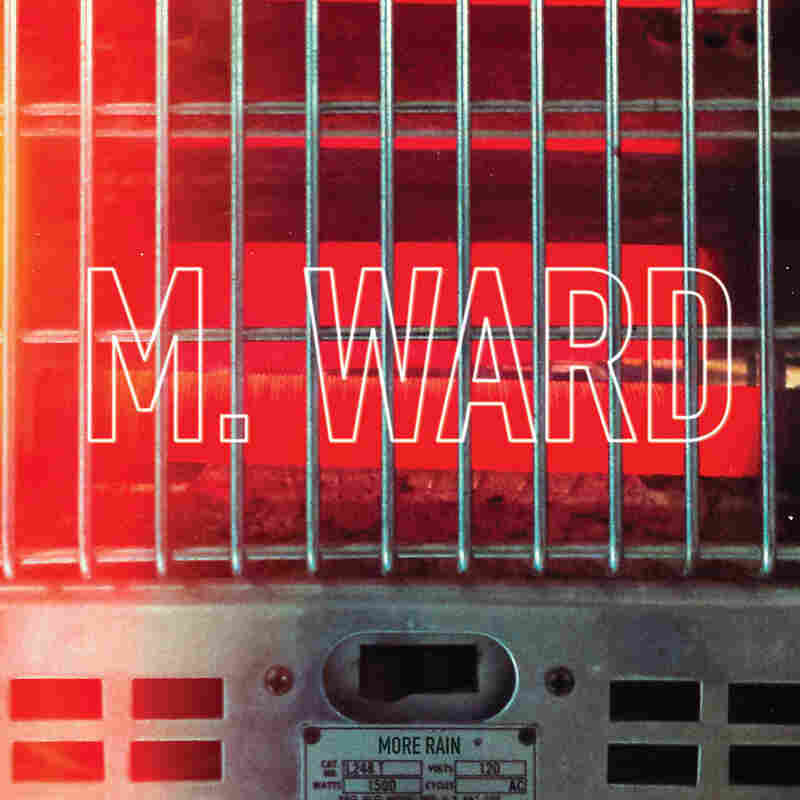 Luckily, it's M. Ward who's made that decision on his eight and latest full-length record; if anyone can pull off such an on-the-nose premise, it's him. Throughout his long string of acclaimed solo work — not to mention his ongoing collaboration with Zooey Deschanel under the name She & Him, his Monsters Of Folk project with Conor Oberst of Bright Eyes and Jim James of My Morning Jacket, and his prolific production work with everyone from Jolie Holland to Mavis Staples — Ward has restlessly deepened and refined his tasteful, thoughtful songcraft. More Rain's minute-long opening track is nothing but the howl of wind and the patter of precipitation, and it kicks off a string of songs that elaborate on that contemplative motif. As cohesive as it is, though, More Rain isn't a concept album. It's more of a mood piece, an overcast state of mind translated into easygoing melody and an underpinning of dusty Americana and late-'60s/early-'70s AM radio. From the atmospheric pedal steel of "Pirate Dial" to the keening Moog solo in "Girl From Conejo Valley," the album paints in a pensive portrait in tans, browns and grays — an old corduroy jacket soaked by a sudden spring cloudburst. Ward doesn't wear it alone. More Rain boasts a profusion of guest stars, and the list is nothing to sneeze at. Neko Case injects starry-eyed backup vocals to the upbeat, T. Rex-like "Time Won't Wait," while k.d. lang lends "Little Baby" a layer of breathtaking doo-wop harmony. R.E.M. 's Peter Buck lends mandolin and guitar, respectively, to "Phenomenon" and "Temptation"; the latter in particular sees Buck cut loose with some humbly shambolic six-string heroics. And while Ward wrote every track on the album save for one, that exception, The Beach Boys' "You're So Good To Me," is delivered with sweet reverence. There's perversity at play here — putting a song by The Beach Boys, the band that invented sunshine, on an album damp with rain — but Ward teases out Brian Wilson's underlying melancholy with sad-sack, singsong loveliness all his own. Despite all the avid collaboration, Ward's hootenanny can get downright solitary. "This is a song about a slow driving man," he sings at the start of "Slow Driving Man" — and if he's being on-the-nose again, it's in a winning effort to speak plainly and earnestly. Propped up by skeletal accompaniment and wrapped in reverb, Ward sketches the story of a character with "No one to pick up / No one to let down" — a loner whose distance from those around him is tallied in highway miles and empty hours. Just when it all seems too desolate to take, the song is washed clean by soft orchestral swells. A bit like rain showers, really. If Ward can be faulted for anything on More Rain, it's his obsession with perfecting every last echoing twang and thematic thread. But that's also the album's biggest, most compelling attribute.